Hi everybody, I'm in an English Professional/Technical Writing class, writing a recommendation report on what career advancement opportunities are out there for PA's. I have been accepted into a PA program and would like to stay a step ahead as my future becomes my present. As far as I have seen, there are only 3 options available to PA's. 2. 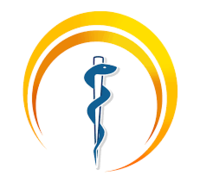 Taking up a role as an administrator as a health or medical services manager; managing how medical services are rendered and overseeing a range of practices. Are there any other options out there or are these about it? And if these are the options, why haven't they been expanded upon? LECOM offers a 3 year PA to DO bridge. That topic has been discussed a lot on here. If you search "LECOM" or "APAP" most of the threads should populate. Otherwise you it appears you listed all of them. Obviously you could add education in there with its respective progressions as well as our national organizations. You are correct, an MD degree is the next step in our career. I regularly get asked by patients why I dropped out of med school or if I'm planning to "go on". I get a wistful look in my eye and tell them that if the bank didn't foreclose on the family farm, I wouldn't have had to drop out. Now I'm stuck as the assistant. 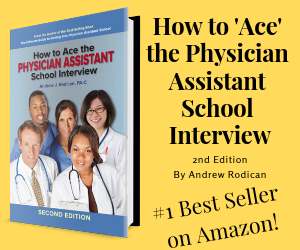 Here's something to put in your paper: the physician assistant profession is still in it's infancy; we -each one of us- is actively defining it daily. You are getting in on the ground floor- and there's nothing you can't do, given a little "get up and go". You no doubt read the post about PA's as medical examiners, and there's a whole damn thread about the amazing things that pas are doing. Daily. Alternatively, why does there need to be a progression? No one asks med students/doctors "So, what are you going to do next". If doctors can just be doctors, why can't we be PAs? I don't need to become a doctor, I certainly don't want to become an administrator, and I'm quite happy in the specialty I plan to stay in for the duration of my career. Why must I 'advance'? I have 2 masters degrees. I think that's quite enough, thank you. Given that you are a new poster with multiple fonts (i.e copy/pasting from somewhere) I'm going to maintain a high degree of suspicion of trolling. Someone admitted to a PA program should already have some insight into the questions you're asking. Yes, it was complete sarcasm, but frustration that a supposed pa student even thinks pa-md is the next step in a career. I'm resigned to this as well. I've already done one doctorate*... they just called it an MS at the time.